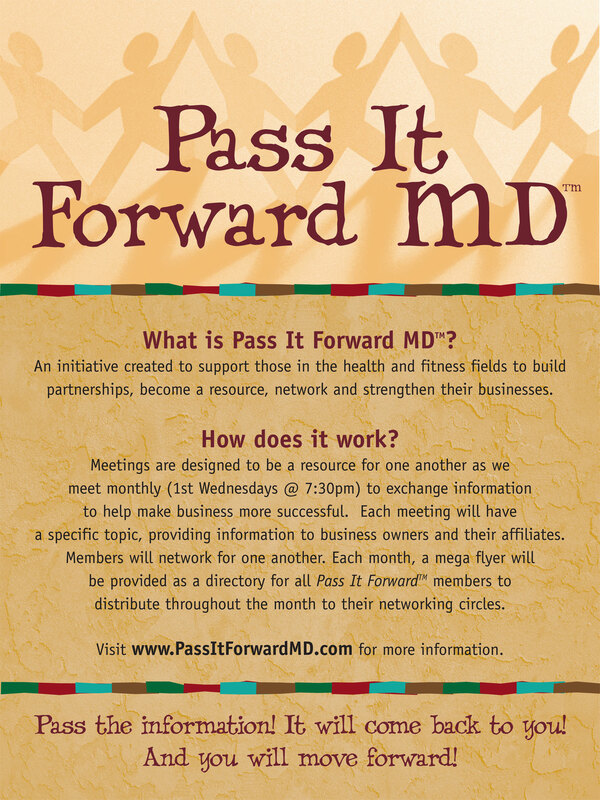 Welcome to the Pass It Forward MD webpage! If you would like to be a part of a group with like professionals that understand your business needs, realize that your success relies on how you help others attain their success and would like to share with those that sincerely support your goals…you are in the right place! Imagine a group that will become a resource to you and your business. PASS the word! IT will return!! And you will move FORWARD!!! Thanks! Hope to see you at a meeting!